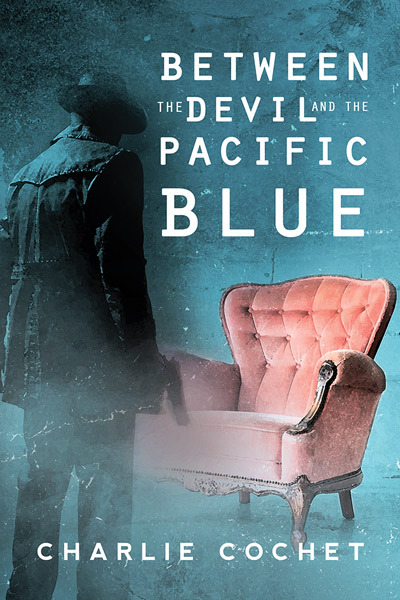 For the last six months, Detective James Ralston has worked the nightshift as security for the Pacific Blue Hotel, and every night at 2 a.m. his rounds lead him to the radio room where the handsome and mysterious Franklin Fairchild sits listening to waltzes as old as the hotel itself. James is drawn to Franklin, but Franklin is a man at the end of his rope, and James has no intention of getting caught up in whatever trouble Franklin is in. A heated encounter late one night sends James down a disturbing path and has him questioning everything around him, including his very sanity. James is ex military, ex cop, ex detective and a current security guard for an old hotel. He meets Franklin in the hotel on his sweep of the hotel each night at 2 am. Eventually he and Franklin move past just exchanging pleasantries to becoming more “involved” with each other. Once he begins to dig deeper into Franklin’s life, he realizes that Franklin may be in danger – and that maybe there’s more going on around him than he really knows. This is a short story and unique, not quite like the other books of Charlie Cochet’s I’ve read. It’s definitely coming out at the right time of year, but I don’t want to give too much else away. There is a twist – to be sure – and a very satisfying HEA. I really enjoyed trying to keep up with the twists and turns the story takes us on and appreciated the subtle language cues Charlie gives us to help solve the mystery. I recommend this to fans of Halloween stories and detective stories. This entry was posted in Action, Adult (18+), Angels/Demons, Contemporary, ebook, Gay, homophobia, Intrigue, Spy, m/m, Paranormal, Suspense on October 31, 2015 by Morgan. Must Read Sci fi Romance! Our Posts! Click on a date and see what you’ve missed.